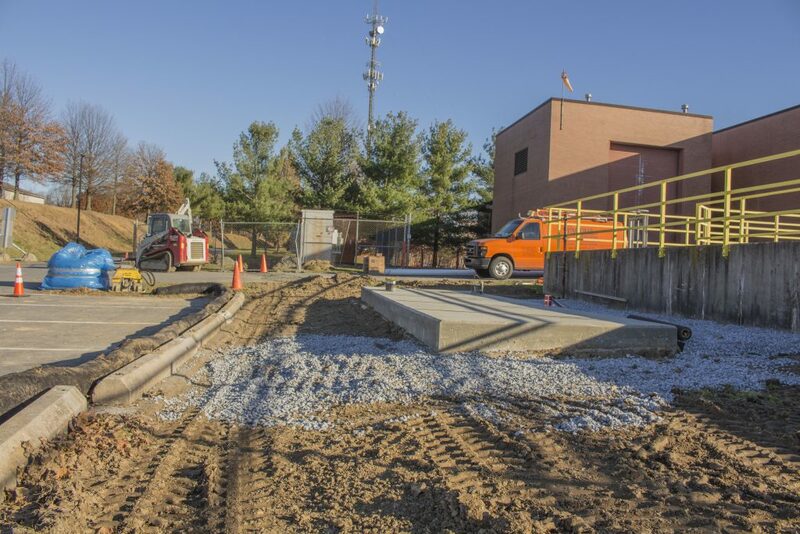 Construction underway at the Water Services Center to install an emergency generator. Thanks in part to a $812,622 grant from Dauphin County, Capital Region Water is installing an emergency generator at its Water Services Center. This generator will help guarantee reliable, safe drinking water service for Capital Region Water’s 60,000 customers in the Harrisburg area. Capital Region Water’s Water Services Center currently does not have an emergency backup power source making it vulnerable to power outages. This project’s total cost of $1.25 million is offset by a grant from Dauphin County’s federal disaster relief funding.